The crown chakra focuses on wisdom and being one with the world. When this Chakra is open you have an open mind, are worldly wise and can connect with everything around you. When it is underactive you may feel stuck in your ways, unadventurous and lacking in belief. Wear a crown chakra to open your eyes to the beautiful world around you and experience it. The Brow chakra is about insight and fantasy. You can visualise things clearly with a strong Brow Chakra, which is often known as the third eye chakra. If you follow your instincts and are confident in your decisions then your brow chakra is balanced, however, if you find making decisions difficult and lacking in imagination then you need to focus on your brow chakra. The throat chakra is about self expression and communication. When it is balanced you have no problem expressing yourself, both verbally and creatively. Musicians and artists will have a balanced Throat Chakra. If you find that you’re quiet, don’t express your views or opinions or are feeling creatively stunted then the throat chakra is for you – got writers block? 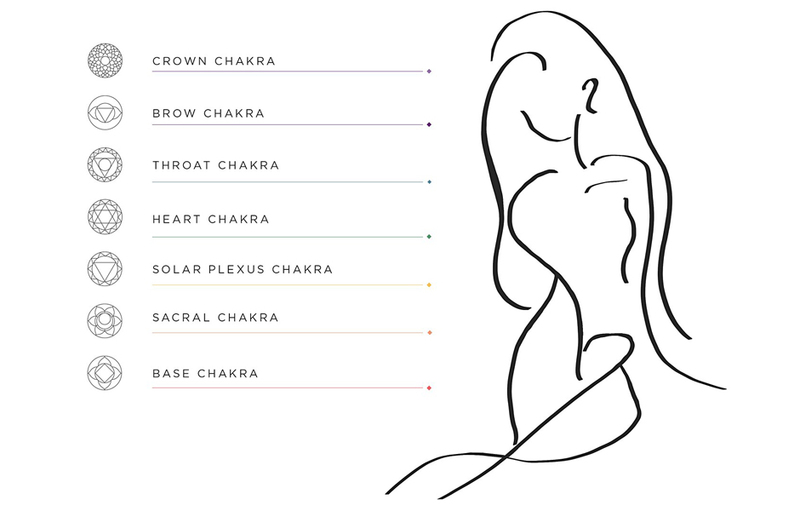 Focusing on the throat chakra will help you centre your creativity and self expression. The heart chakra houses love, kindness and affection. When it is open and balanced you are a friendly and compassionate person and a great friend who makes all relationships harmonious. If you feel cold, distant or unemotional towards other people, you need to focus on your heart chakra. The solar plexus chakra allows you to feel confident, have self belief and go through life with lots of energy and enthusiasm. To allow your relationships to thrive, you should focus on opening up your solar plexus chakra. The sacral chakra allows you to feel sexually liberated and more in touch with your emotions. In order to express your feelings openly and calmly, and be unhibited in your sexuality, you must balance your sacral chakra. Your base chakra enables you to feel at home in situations, if it is open you feel grounded, stable and secure and rooted in the real world. If you tend to feel fearful, nervous or panicky at times the base chakra would be perfect for you, to remind you to be calm and feel secure in your surroundings.